Whether it’s saving on costs, the Earth, or simply snagging a good deal - you know you have truly become an adult when you’ve learnt the art of being thrifty. And with PUB’s raised water prices this month, no time’s better than now to put your scrimping skills to the test - and cut down on your H20 consumption! From showerheads to taps, here’s how you can conserve the environment (and your bank account) with Sim Siang Choon’s range of water-saving bathroom fixtures. No surprise here. Shower heads take up the most in our water consumption, almost ⅓ of our monthly water usage! Standing under those water jets for a mere 15 minutes can easily use up to 200L with a normal-flow shower head. So, imagine the amount of water (and bills) you can save when you switch to a water-saving shower head. The average normal-flow shower uses anywhere from 13 - 15 L/minute, but a low-flow one can slash those rates by almost half. What makes a water-efficient shower then? PUB has developed a water-efficiency guideline, which is rated by the number of ticks. Simply, the more ticks, the more water efficient a product is. This sleek handheld shower can be combined with other shower parts (wall mount, overhead showers), and comes with a built-in flow limiter that reduces the water flow to 5 - 6L/minute. Taking ‘waste’ to a whole new level, toilet flushes also make up a bulk of our water consumption, approximately 16% of our total water usage according to PUB. 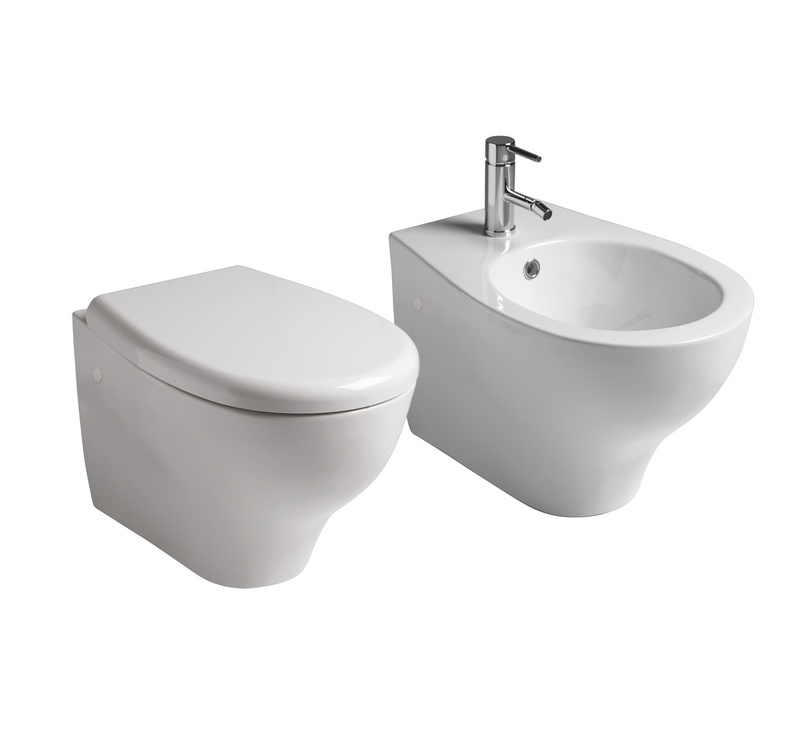 Fun fact: old-school toilet cisterns (any models before 1995) can use up to 13.6 litres of water each flush. That’s enough to take a shower in some parts! Thankfully, water closets these days come with all types of water saving features, from the dual-flush to low-flow models. But, for a real, water-efficient cistern - your toilet bowl flush rate must be within PUB’s water-efficiency ratings below. Note that PUB now requires all new cisterns to have at least 1 tick. For substantial savings, go for models with 2 - 3 ticks, and which can help to reduce your water consumption by 11% and 18% respectively. Galassia’s latest range of water closets feature an innovative rim-less bowl design that removes water quicker, reducing the accumulation of dirt, residue and bad smells. In addition, it is exceptionally water savvy, taking up to only 3 litres per flush. We might not think much of it, but those times washing your hands or brushing your teeth by the sink all add up. Leaving a running tap could waste up to 10L per minute on a traditional normal-flow one. However, low-flow bathroom taps are now commonplace, and the best water-saving ones can cut water rates by 67%! Once again, PUB has phased out any bathroom taps without at least a 1-tick WELS rating. But what warrants a water-saving stamp of approval? Check out PUB’s guidelines below. Bonus points if these bathroom taps come complete with a whole host of conservation features - like dual flow systems or flow limiters! Not your typical sensor basin tap, the Alessi SENSE is built to be smart - and water saving. Nifty highlights include a timed flow period; tap the faucet top once for 6 seconds’ worth of water. On top of these water conservation features, the Alessi SENSE is also a low-flow tap, using only 4 litres/minute. Ahead of the curve, Italian sanitary ware maker Paffoni has incorporated innovative energy and water-saving features in all its bath taps. They come with a built-in flow limiter that allows the tap to work on a reduced flow by default. Users can only unlock a full flow by pushing the faucet over a notch.